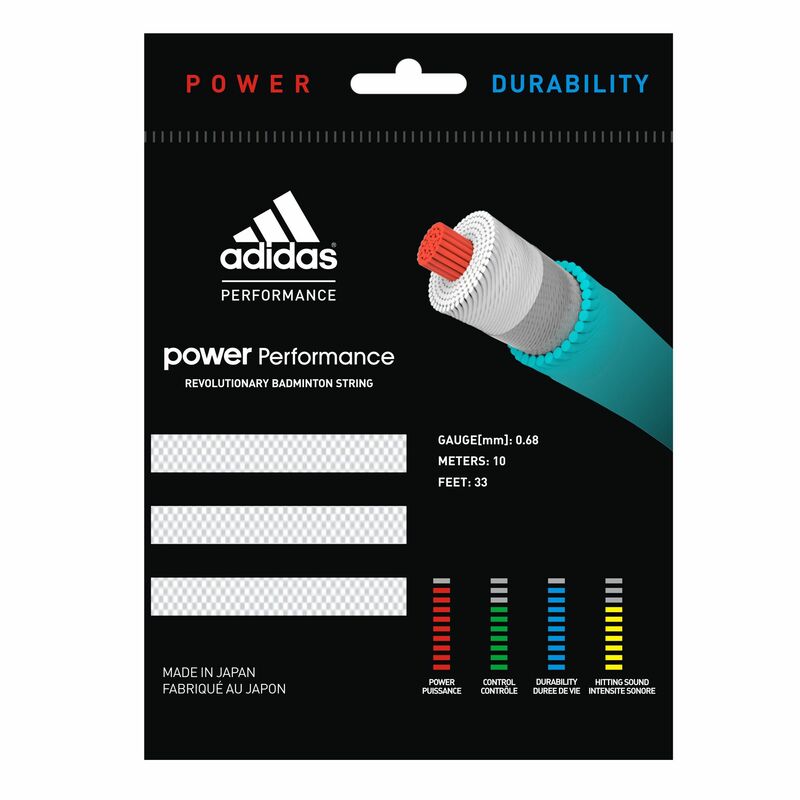 The adidas Power Performance string is supplied as a 10m (33ft) set and designed for both power and durability. The string is produced in Japan and its maximum stringing tension is 30lbs (13.6kg). It features a gauge of 0.68mm (0.03”) and offers the high polymer centre core technology for higher repulsion power and precision in every shot. for submitting product review about adidas Power Performance String - 10m Set.